Lord Puttnam's reaction to the government's BBC White Paper, why the BBC's and ITV's News at Ten are worst for women experts, and James Harding on BBC online cuts. The BBC has announced it's scaling back and closing a range of online services - including BBC Food and Newsbeat websites - in order to save £15m. 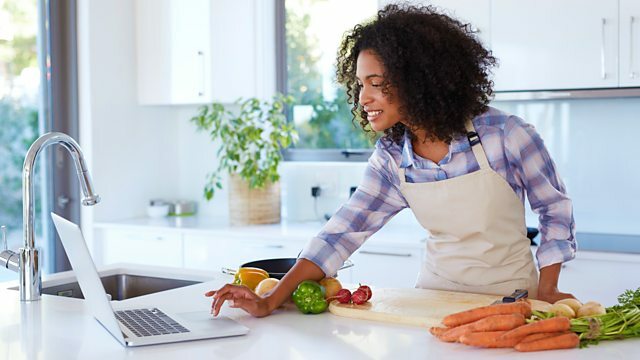 The proposed closure of the BBC Food website quickly drew widespread criticism and an online petition against the move raised over 100,000 signatures in one day. James Harding, Director of BBC News & Current Affairs, joins Steve Hewlett to explain the changes. David Puttnam, whose credits include the Oscar-winning Chariots of Fire, has spent the last few months fronting an alternative inquiry into the future of public service broadcasting. Its aim is to look at the 'nature, purpose and role of public service television today and in the future' and the findings will be published at the end of June. Lord Puttnam has been opposed to any suggestion that the government BBC Charter White Paper could reduce the size and scope of BBC. So, with the proposals now published, what does he make of them? He shares his concerns over governance and thoughts on Ofcom's new involvement with Steve Hewlett. New research shows the BBC News at Ten features the fewest number of women experts compared to other news programmes, booking nearly 4 men for every woman - just a 3% improvement compared to May 2014. It's part of findings from City University, which periodically reviews the numbers of women featured on air. This year's research has shown some improvements; ITV News at Ten, despite being similar to the BBC in terms of male/female ratio, has managed to increase its female representation by 27%. So what is the picture of gender equality across news outlets, and why is it so hard to get women on air? Steve Hewlett discusses with report author Prof. Lis Howell. BBC's future set out in government White Paper.